With its last release in year 2014, Mini Cooper has come up with new designs and powertrains. Keeping the trend on the MINI recently unveiled its stylish and spacious MINI Coopers Clubman 2016. Offering two engine options with new transmission, the model is possessed by lots of space in its interior. 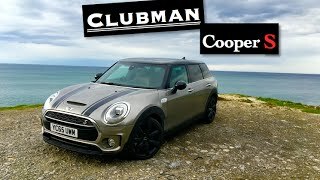 Let us have a look at the review of MINI Coopers Clubman 2016 to know more about it. The interior of MINI Coopers Clubman 2016 is indeed innovative when compared to the Hardtop model, apart from its steering wheel and instrument panel. The dashboard get’s more styling cues in comparison to the standard predecessors through its rectangular AC vents and yes the center stack, which is no longer part of dashboard. This change makes the dash look neat and elegant. Beneath this setup is an all new center console featuring wider and higher stance while the door panels get some extra storage space through compartments. Last but definitely not the least is the space inside MINI Coopers Clubman 2016 which gets to 17.5 cubic feet and can further be increased by folding the rear seats and taking the space to 47.9 cubic feet. 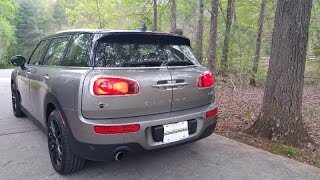 Looking at the exterior of MINI Coopers Clubman 2016 you might easily recognize the Clubman but a closer look with highlight some great changes. The changes that we are begin to mark their presence with the front fascia. Here you’ll find larger headlamps sitting aggressively at the both the side of single-piece chrome-frame grille. Beneath them you’ll be having smoothly finished apron housing wider fog lamps. Moving towards the rear part of model changes continues with wide horizontal taillights and exhaust pipes that come integrated into the bumper. In all the exterior of MINI Coopers Clubman 2016 despite its similarity has the blend of innovation and ‘something new’ in it. Beneath the hood of MINI Coopers Clubman 2016 you’ll have two powertrain options. 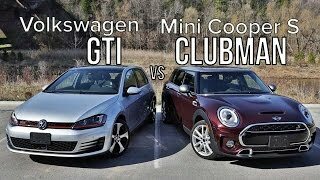 First one is a 1.5 liter three-cylinder TwinPower Turbo engine cranking total output of 136 hp and peak torque of 220 nm housed in Clubman Cooper 2016 while second is housed inside Clubman Cooper S, and is a 2.0 liter-cylinder Twinpower Turbo generating total output of 192 hp and peak torque of 280 nm mated to six-speed manual and eight-speed automatic transmission respectively (1.5 liter variant also has an option of six-speed Steptronic. 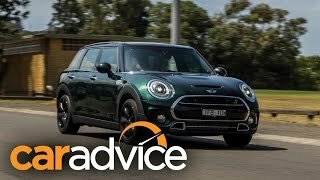 With this power rolling the model, the top speed of MINI Coopers Clubman 2016 touches the mark of 127 mph and 142 mph while the 0-62 mph sprint can be knocked in 9.1 seconds and 7.2 seconds respectively.